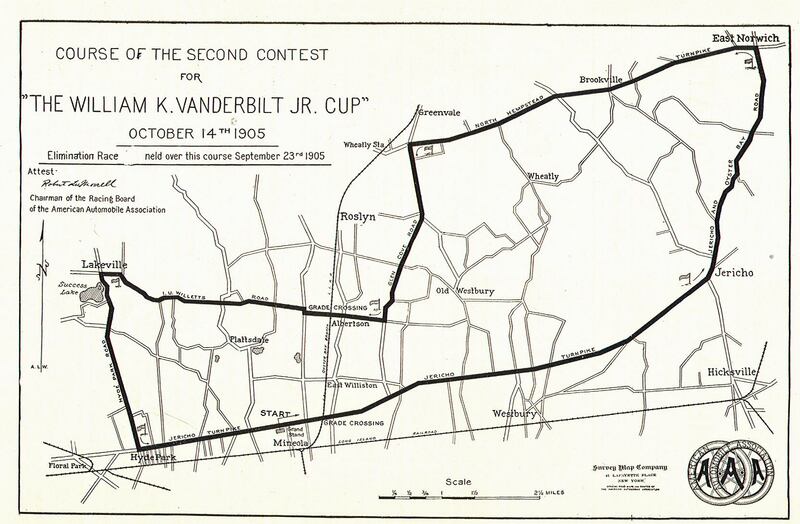 The north-east corner of the 1905 and 1906 Vanderbilt Cup Race courses was the East Norwich Turn located at the intersection of Jericho-Oyster Bay Road and North Hempstead Turnpike (25A). 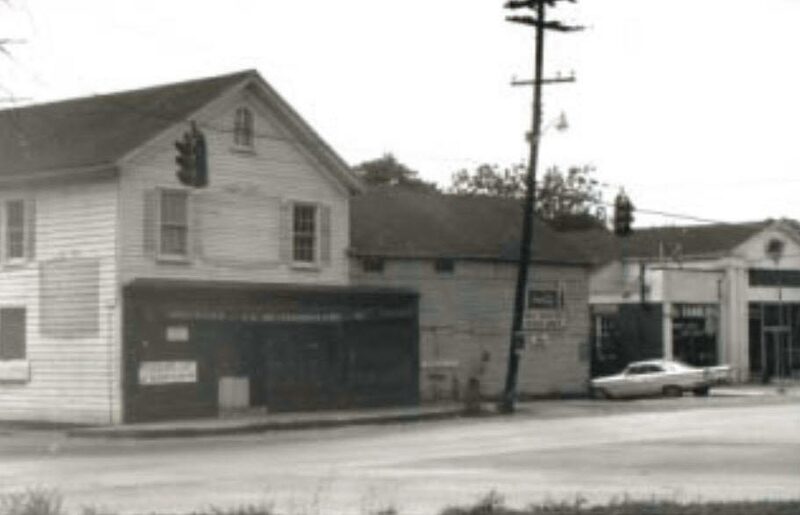 Here is a "Then & Now" analysis. 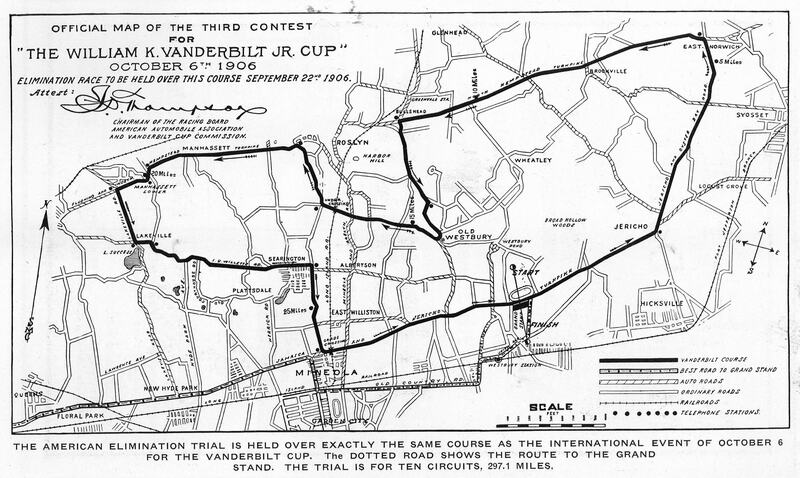 The 1905 and 1906 races went through the heart of East Norwich. After passing McQueen's Store (south-west corner) and W.F. 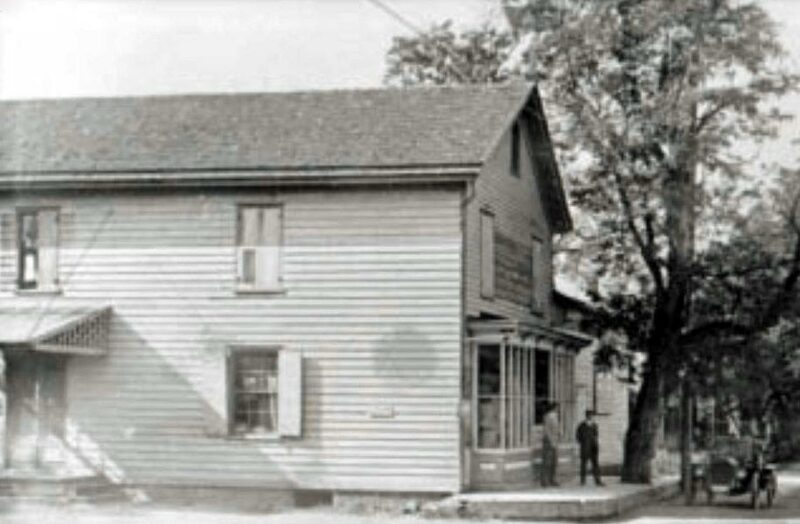 Johnson's Store (south-east corner), the cars headed west with the East Norwich Hotel at the north-west corner. 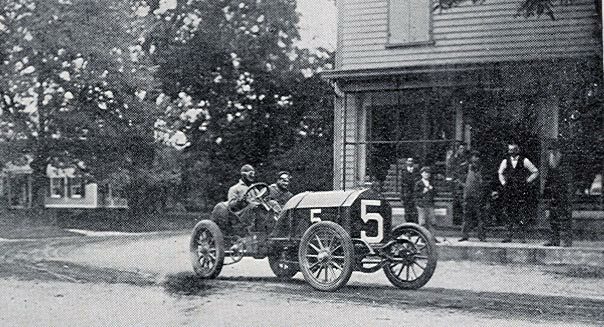 Joe Tracy and Al Poole practicing for the American Elimination Trial in the #5 Locomobile while several spectators look on at McQueen's Store. Bert Dingley driving the #3 Pope-Toledo just before making the turn at McQueen's Store. A flagman waving the all-clear signal to Felice Nazzaro's #8 Fiat. 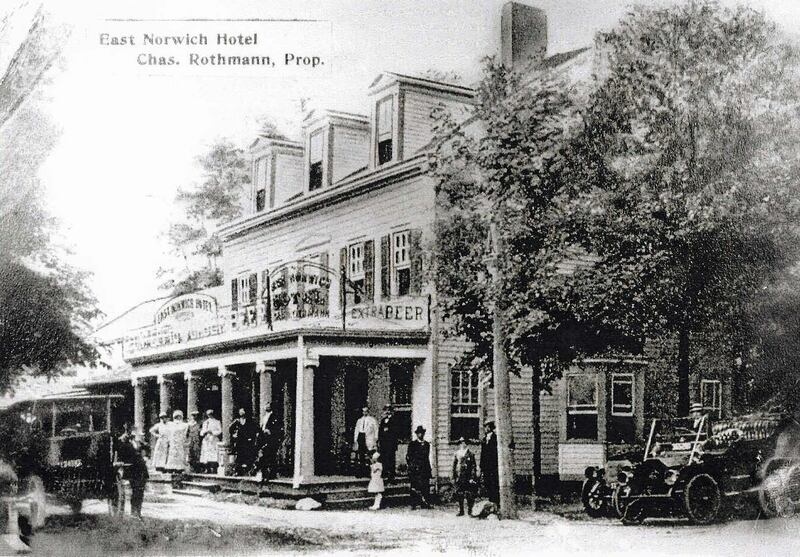 The above photo was taken in front of the East Norwich Hotel, later becoming Rothmann's. 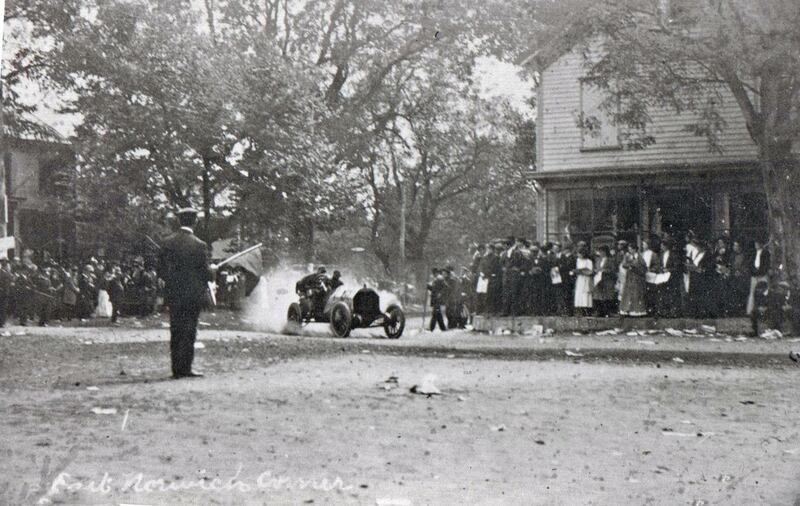 The October 11, 1906 issue of "The Automobile" reported the action of spectators at the East Norwich Turn including an accident involving Joe Tracy. 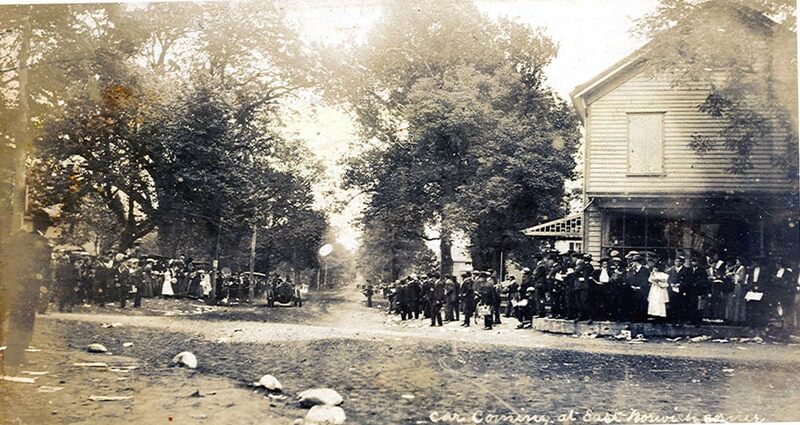 "If it was with the expectation of seeing something exciting that the 3,000 spectators gathered at the East Norwich turn and persistently crowded far out into the road, despite all efforts to restrain them, they were sufficiently appeased when, in his seventh round, Tracy's car skidded and struck two of the onlookers, causing the second most serious accident of the day, and by a miracle just missed causing several fatalities." 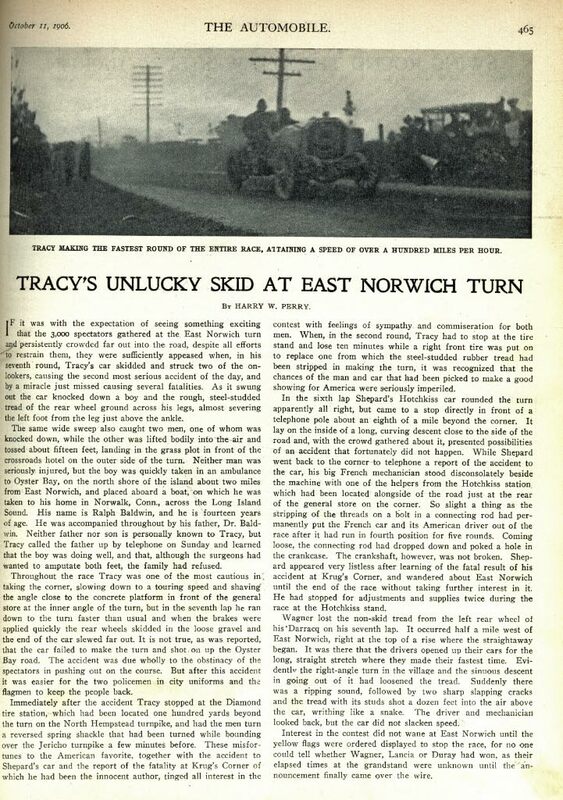 PDF of the October 11 1906 The Automobile article "Tracy's Unlucky Skid at East Norwich Turn" It may take one minute to download. The East Norwich Turn looking west. Looking south. 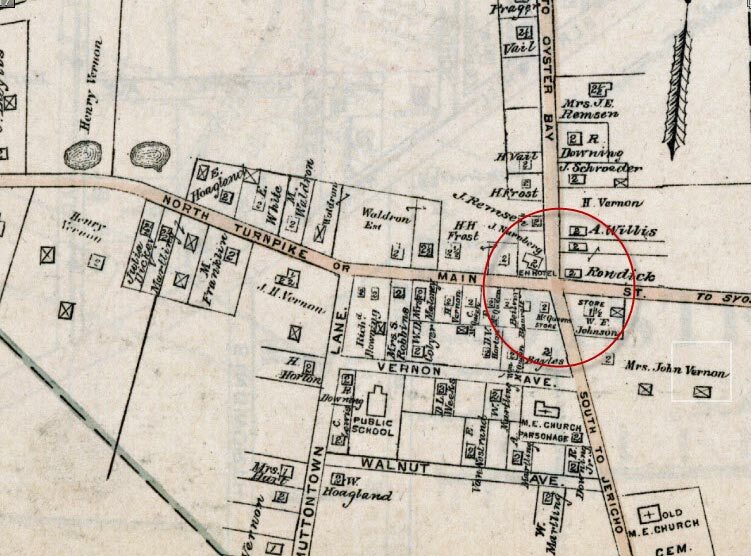 The location of the McQueen's Store is on the right. Looking west. 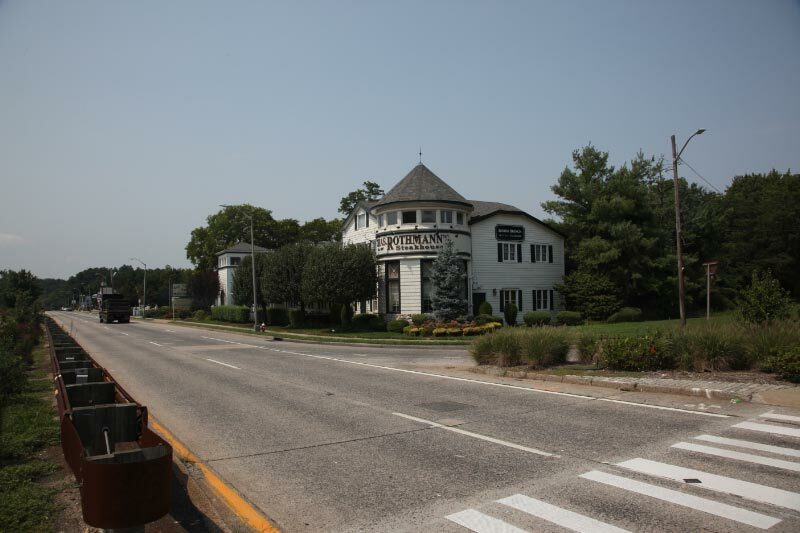 Rothmann's Steakhouse is on the site of the East Norwich Hotel. 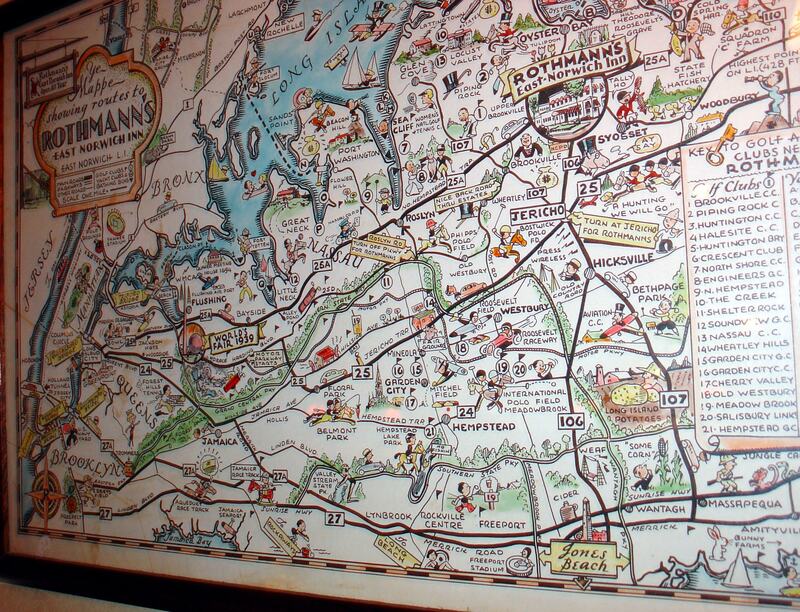 This 1938 map hanging in Rothmann's showed the "routes to Rothmann's East Norwich Inn". 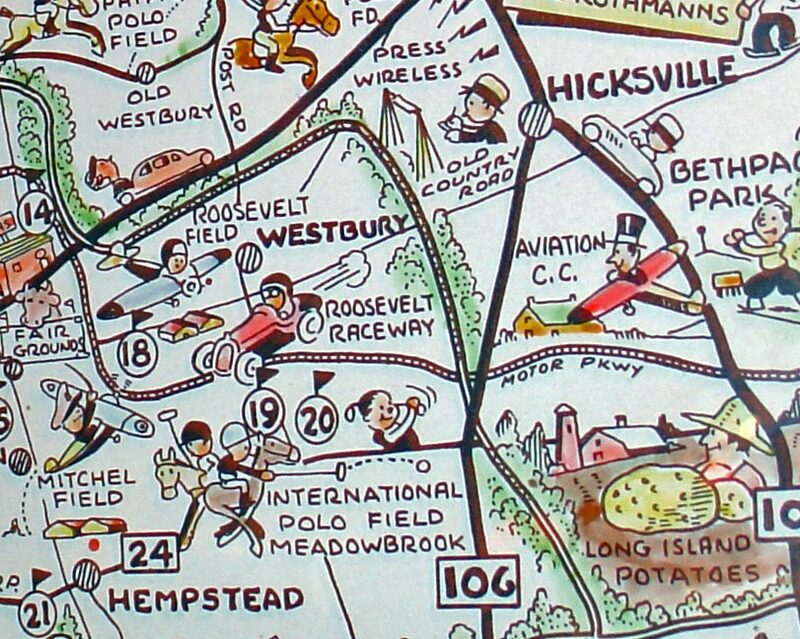 Map highlights included the Motor Parkway, Roosevelt Raceway and the Long Island Aviation Country Club. Keep those thens and nows coming! Wow! That’s an incredible assortment of photos. 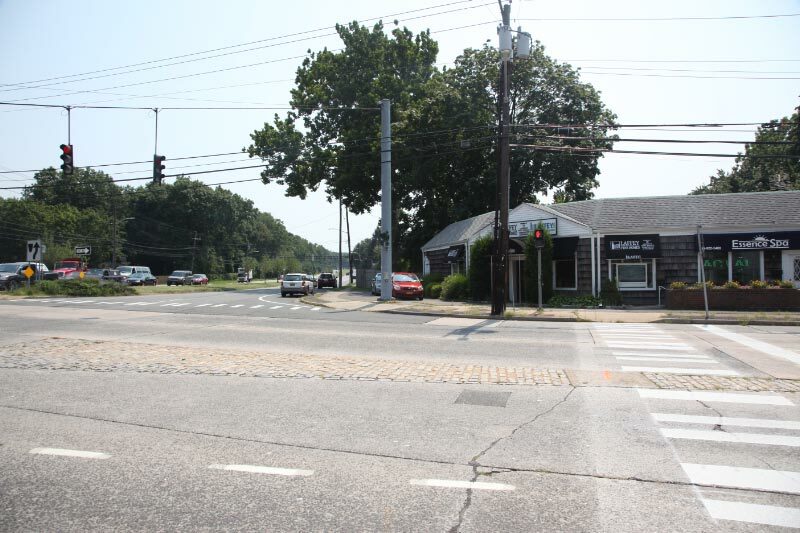 Virtually everyone can relate to that intersection. Thanks.